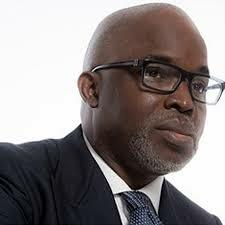 Nigeria Football Federation (NFF) president Amaju Pinnick has already perfected his ascension to the CAF executive committee. Ghana FA boss Kwesi Nyantakyi will step down for him and in turn, he will support the GFA chief to stay put on the FIFA council. Both the CAF executive committee and FIFA Council polls are slated for March 2017. This explains the close alliance between the two men in recent times. Pinnick flew Nyantakyi back on his chartered flight from the recent AWCON final in Cameroon for them to attend a sports award in Lagos together. Nyantakyi was also among the 18 football federation presidents who Pinnick hosted during the visit of FIFA boss Gianni Infantino to Nigeria in July. A lawyer and banker, the 48-year-old Nyantakyi has been GFA president since December 2005. He was first elected on the CAF executive committee in February 2011. He is also the president of the sub-regional WAFU B and owns Ghanaian club Wa All Stars.